Today is Saturday and tomorrow which is Sunday I will be going to the Free Medical Camp at Manavparivar, Matar. There are two teams which already left this morning. Each team consists of 12-15 people. They are going to start their work at camp site for the preparation of tomorrow’s Medical Camp. I am also going there tonight together with my family. The teams who went there early will start doing all the necessary preparation as there will be 15,000+ people expected to be there. So they are going to start that today. The preparation work will last all day today in each department. They will be busy today. Each of every department there will organize everything like the parking, token, the registration, the OPD, the kitchen, the lunch area and everything. There are 22 outlets of pharmacy there at Manav Parivar. The team of volunteers working in medical store or pharmacy will need to reflenish all the counters. They will check everything what will be needing there. 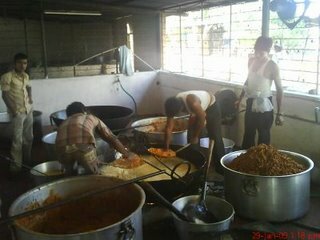 In the kitchen department, as there will be 15,000 people who will be having their lunch, so the volunteers started their work today. Many preparations will be needed there to be ready for tomorrows medical camp. The making of food will start today at 9:00 pm. The food they will prepare tonight is the vegetables and Dal. 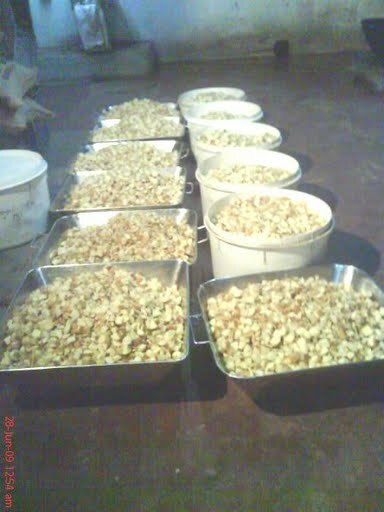 And the making of roti will start at 4:00 am Sunday, just in time for the lunch at 7:00 am which will be serve to the patients. It’s really nice to see all the people there who are helping each other to make the work easy. Cooperation with each other are always seen there. Bless them all.